They said it can't be done. We did it! 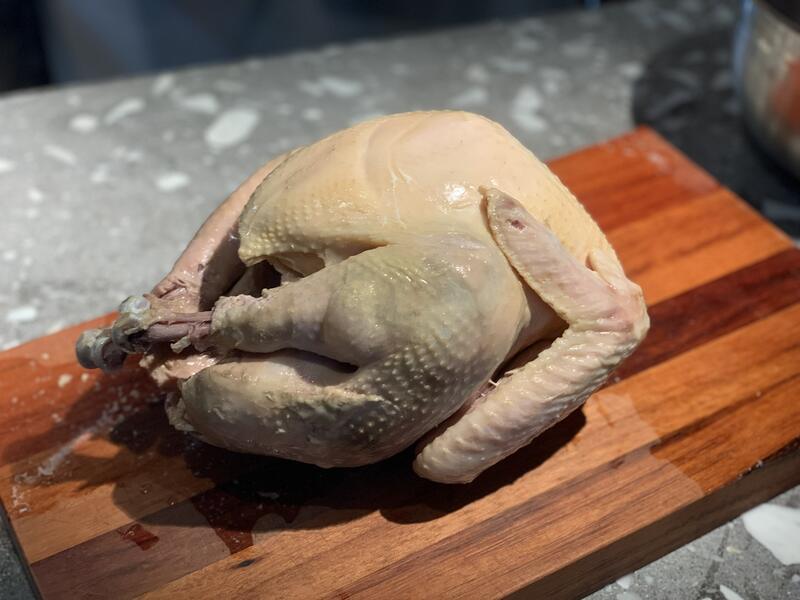 A perfectly cooked, ultra-crisp skinned sous vide whole turkey. 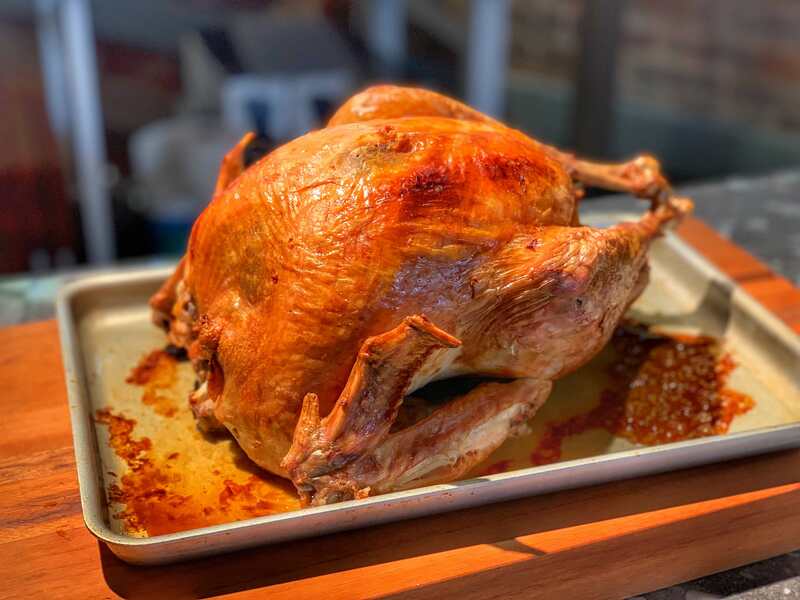 Cook the turkey the day before the big show, and roast it to serve. No more guessing how long it takes or if it's done. 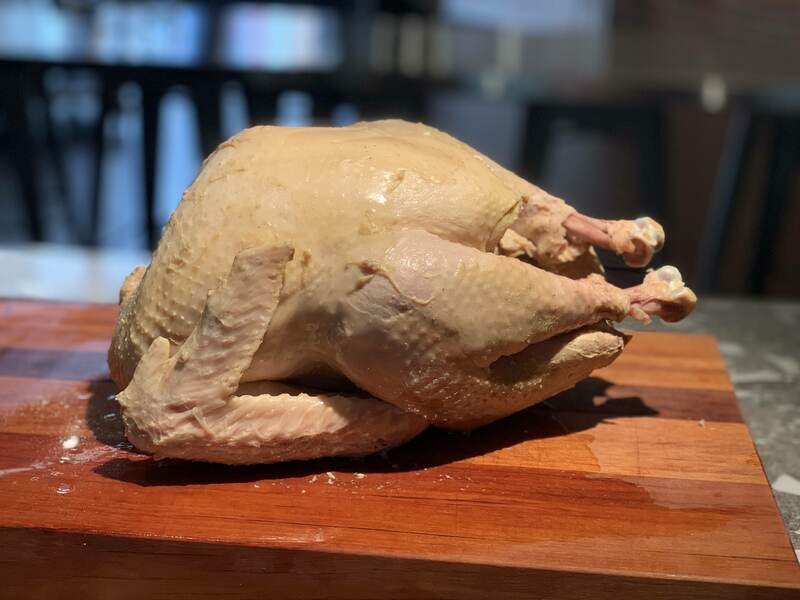 Season turkey as desired. Place in large resealable bag (we used two gallon freezer bags). 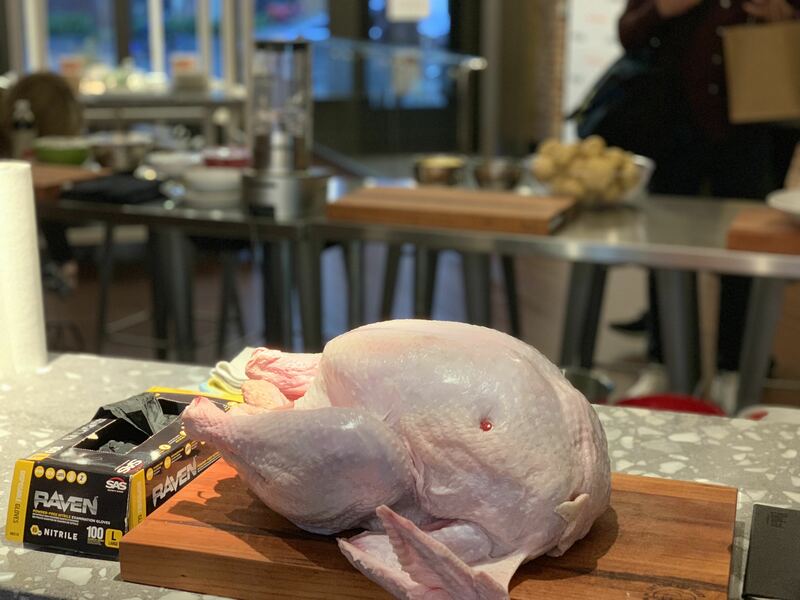 Pour all of the stock until turkey is submerged. 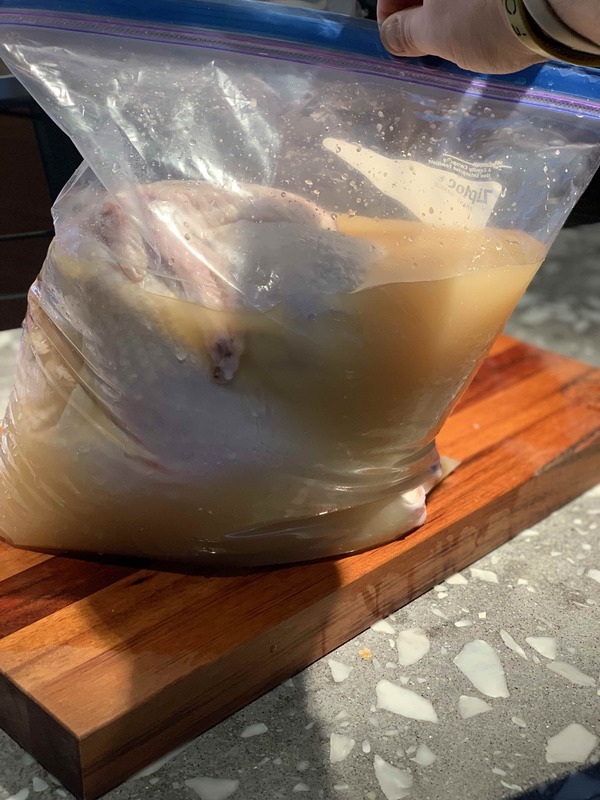 Place in water bath and sous vide for 24 hours. 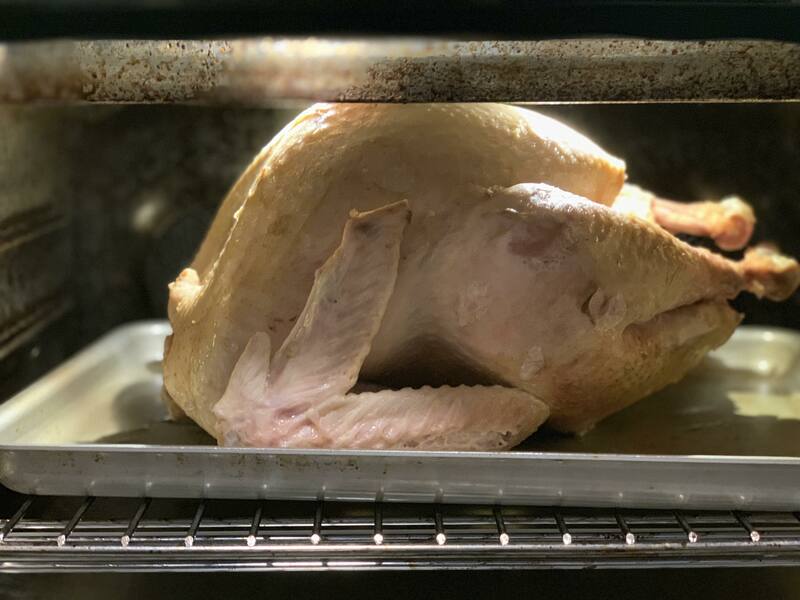 Pat turkey dry and let rest on counter for 30 min.